Hi there, Kevin here. 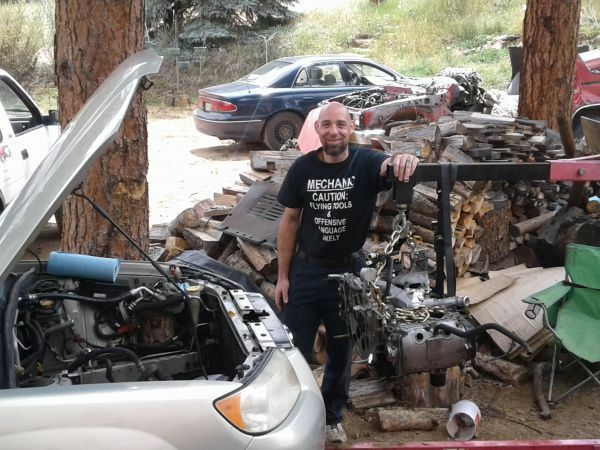 Im a experienced Automotive and Diesel technician indepentley serving the 285 corridor between Grant and Lakewood. Break downs, no starts,fluid leak repairs, Flat repairs, jump starts, roadside service, and at home service from oil changes and brakes to major engine repair/overhaul plus much more. I do offer diagnostic only for you go getters that just dont know what is going on. 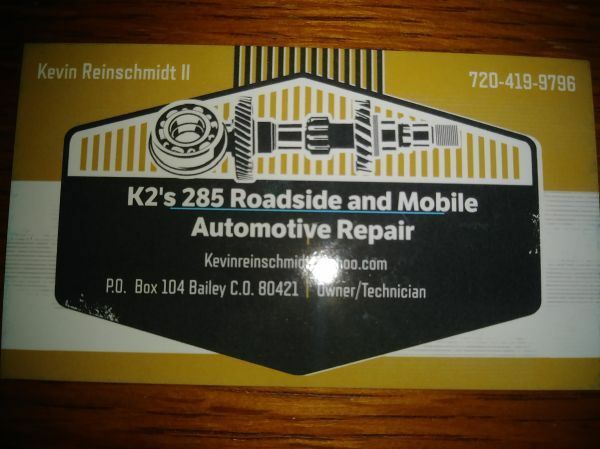 18 years experience, Offering rates near half off of the shop and also avoid that expensive and time consuming tow. Call or Email for appointment/availability. Flexible hours and on call 24/7. -All makes and models including Diesel and European(Rates may vary) ----Specializing in Chevrolet, Ford, Toyota and Subaru repair. Supported/Referred by local Mountain Tire, Cruz In, Happy Camper, Cutthroat Cafe and more. Last edited by kevinreinschmidt@yahoo.com on Apr 9, 2019 8:06 am, edited 10 times in total. Kevin does all the repairs on my car. He has done an excellent job every time. I saw Kevin's ad on Pinecam and asked him to diagnose a strange sound coming from my truck engine. He came out and with a unique fix cured the problem. I then asked him to do a front end brake job, and he replaced the rotors, pads and bled the brake lines. He is very professional and his rates are very good. I will definitely use him for future servicing on my two vehicles. Thank you all, it is a pleasure. I love what I do. Love my office everywhere and get to meet and help the most wonderful folks. Thank you all and drive safe. I had Kevin diagnose a problem with my Ford E-350 van. He found the problem and fixed it for a very reasonable amount. I greatly appreciated the fact that he came to where the truck was as it would not pull the hat off your head and I did not think it would make it to a shop for repairs. Kevin bailed me out again, water pump went out on my Jeep. He came over and replaced it again at a very reasonable rate. Thanks Kevin! I had two relatively minor problems with my F150, and Kevin fixed both issues quickly and at a reasonable cost. I continue to recommend him highly. 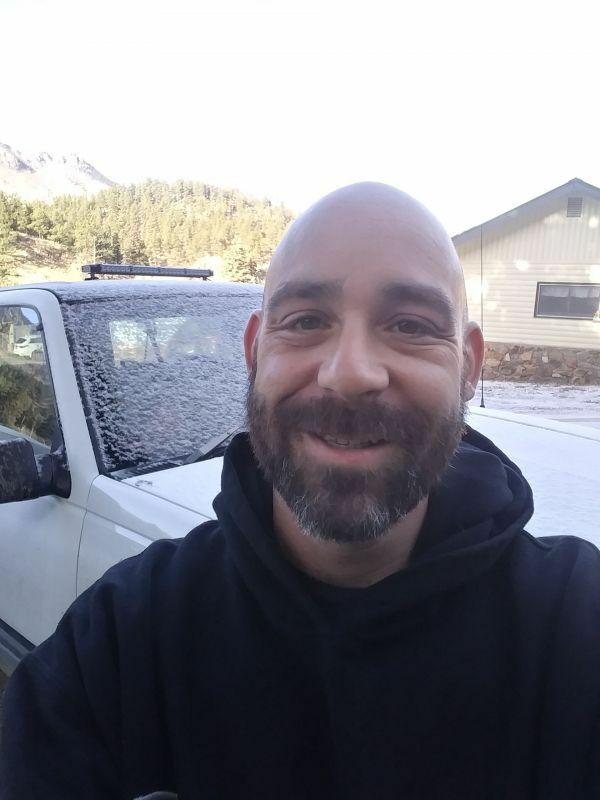 Kevin has worked on our plow truck, and when a part he installed failed, came out and performed a warranty repair at no additional charge. He has also worked on our 50 year old land cruiser. He has done a great job on both vehicles. Kevin, Has done work on my 2008 nitro, replaced brakes, and a starter. Kevin does very good work and is reasonable rates. Last bumped by kevinreinschmidt@yahoo.com on Apr 9, 2019 8:06 am.